Edward Klein is a New York Times best-selling author. He has written several investigative books on top Democrats: the Kennedys, Obama and the Clintons. He is the former editor in chief of the New York Times Magazine and a contributing editor to Vanity Fair. 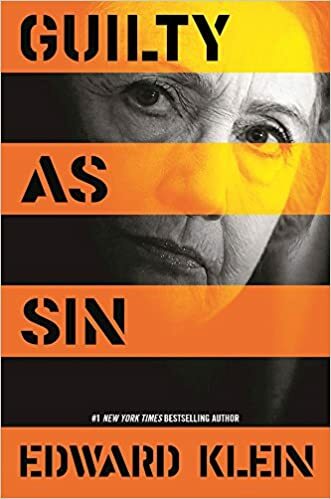 His latest book, published on October 4, is Guilty as Sin: Uncovering New Evidence of Corruption and How Hillary Clinton and the Democrats Derailed the FBI Investigation. The Daily Mail has an advance copy, excerpts from which appeared beginning on Sunday, October 2. The exclusive information on Hillary’s health appeared on October 3. The excerpts from Chapter 25 are a must-read for those who know nothing about the subject. Obama wanted to arrange a secret visit to Walter Reed National Military Medical Center for Clinton, but she refused. She was afraid someone would leak it to the media. Instead, she has been going to New York-Presbyterian Hospital, where she enters and exits by a private entrance. She can trust her doctors not to say anything. she is suffering from arrhythmia (an abnormal heart beat), a leaking heart valve, chronic low blood pressure, insufficient blood flow, a tendency to form life-threatening blood clots, and troubling side effects from her medications. I have documented Clinton’s health problems over the past few weeks. I have also posted about a doctor, a journalist and a talk show host who have lost their jobs because they have dared to speak the truth about her health! … it turned out that Hillary had an intrinsic tendency to form clots and faint. Several years earlier, she had developed a clot in her leg and was put on anticoagulant therapy by her doctor. However, she had stopped taking her anticoagulant medication, which might have explained the most recent thrombotic event. A cardiac stress test indicated that her heart rhythm and heart valves were not normal. At the time, I tried to contact the Clintons’ cardiologist, Dr. Allan Schwartz. He refused to take my call. However, I learned through other channels that Hillary’s doctors considered performing valve-replacement surgery. They ultimately decided against it for reasons that were never made clear, although some sources speculated that Hillary did not want to risk the negative political fallout from stories about such a serious operation. Klein confirms that Clinton has to wear Fresnel prism lenses in order to correct her vision. They are for people who suffer from double vision following a brain injury. Bill Clinton revealed the true nature of her condition when he said that it had taken Hillary ‘six months of very serious work’ to recuperate from her concussion. The presidency is the most stressful job in the world, and the physical condition of those who aspire to the office is of vital importance. In my book, Unlikeable: The Problem with Hillary, I devoted five pages to an exploration of Hillary’s health. As far as I could tell, I was the first journalist to explore this critically important subject in depth. That’s because everyone else knew they’d be sacked, Ed! In her state, Hillary couldn’t find an ordinary job if she were an average American. Employers just would not hire her. She is too ill.
As for Dr Lisa Bardack’s letter about Clinton doing all the right things for her health, Klein interviewed Hillary’s friends who say her health habits are the opposite to what the good doctor described. She has no interest in yoga or having a personal trainer. Nor is she teetotal. Hillary swooned as she walked to her waiting car. She had to be carried by her aides and conveyed into the back seat. Tension headaches continued to plague her and often made it hard for her to maintain her grueling campaign schedule, or to concentrate on a subject. In one of the emails released by the State Department, Huma [Abedin] confessed that Hillary was easily ‘confused.’ Huma frequently ordered campaign aides to alter Hillary’s schedule at the last moment so the candidate could catch her breath and take time out for naps. Klein spoke with one of Hillary’s close friends who says that Bill Clinton is very worried about his wife’s health. He wants her to have more tests, but she refuses. Ultimately, she fears the results will be leaked and published online. Klein’s conversation with Hillary’s friend revealed that, if it were up to him, Bill would gladly pull the plug on her campaign now. The friend conceded that health is the major issue surrounding her campaign. If Hillary Clinton is elected, she will not be able to manage a full working day, which, in the White House, can be 20 hours long. Voters should be asking themselves who will be running the country while Hillary is incapacitated. That is not an idle or speculative question. It is a realistic and serious one. Since Hillary Clinton began an attempt at campaigning in earnest after Labor Day weekend, millions of Americans continue to question the state of her health. In the past ten days, the world has seen a presidential candidate with potentially serious issues. she has conditions that could rightly restrict an average person’s employment, never mind that of a president and leader of the free world. Currently, Clinton is recovering from pneumonia. Many of us were brought up knowing that pneumonia requires staying away from the general public, getting medical attention and lots of bed rest. Today’s antibiotics will go a long way to help recovery, but they also need time to take effect. It is possible that she has aspiration pneumonia, which might not be contagious to others. If she does have aspiration pneumonia, it means that she probably has an underlying condition which has caused it. If true, this would indicate she has a neurological disorder or Parkinson’s disease. This is because people who get aspiration pneumonia have an impaired gag reflex whereby they cannot swallow phlegm or post-nasal drip. Instead, it goes into their lungs and causes an infection. On the other hand, someone with a normally functioning gag reflex can swallow bronchial or nasal waste, which then enters the gut and is expelled in the usual manner. Reviewing last weekend’s timeline, Clinton spoke at a fundraiser in New York City on Friday, September 9. Her physician said that was the day the candidate was diagnosed with pneumonia. Clinton then attended a 9/11 memorial service on Sunday morning. She was in a crowd of people and left early because she was ‘overheated’. That was one of the coolest mornings New Yorkers had experienced all summer. The temperature would have been between 75° and 77° F during the time of the ceremony. Humidity was low. Secret Service protocol says that, in such an event, the candidate must be taken to hospital. However, Clinton wanted to go to her daughter Chelsea’s flat for treatment and rest. “Everyone’s been sick,” a campaign source tells PEOPLE. At the end of August, two weeks before Clinton was diagnosed with pneumonia, a debilitating bug was making the rounds among staff at her headquarters and campaign aides who travel with Clinton, a source tells PEOPLE. At least half a dozen senior staff were felled, including campaign manager Robby Mook. Two top advisers even needed emergency medical treatment, the source says. One top adviser diagnosed at a Brooklyn urgent-care center with a respiratory infection was being treated with antibiotics in the days before Clinton’s diagnosis. Another top adviser was taken by ambulance to the ER after collapsing from what turned out to be severe dehydration, the source said. I mean, I don’t think I’ve ever seen her, um, so tired. And she was tired, she has pneumonia and that’s miserable. Hillary Clinton suffered a dural sinus thrombosis (blood clots in the brain). Very serious. Significant risk of stroke, intracranial hemorrhage and death. They blamed the clots on a concussion. Not a chance. Concussions don’t cause blood clots. It would take a skull fracture with tearing of the dural sinus. She suffered/suffers residual/recurrent neurological deficits (visual disturbance, balance, memory, mental status). Bad prognostic indicator. Clinton is also on Coumadin (i.e. Warfarin, rat poison). Although there are many safer blood thinners on the market, some people need to take it for various reasons, one of which is explained below. It’s more likely than not that Hillary suffered a stroke in 2012 that they called a concussion. Stroke is extremely common following sinus thrombosis (of patients with clot in SSS: 75% stroke and 60% have intracranial hemorrhage). Overall about half the cases of sinus thrombosis resolve completely but that’s obviously not her since she exhibits and confesses to lasting neurological deficits. This is med school 101 stuff. The doctor [Hillary’s physician] says that HRC had no fever, no elevated WBC, and a normal oxygen saturation level, and how often does that happen with bacterial pneumonia? Almost never. And normal vitals signs means HRC had a normal blood pressure and pulse. That is even worse. She should have an elevated pulse and low blood pressure if she is going to be weakened due to dehyrdration from pneumonia. And how likely is it that she gets dehydrated if she doesn’t have a fever and the temp in NYC is 80 degrees? Very unlikely. This doctor just destroyed her own excuse for the syncopal event. On the other hand, doctors frequently see aspiration pneumonitis on chest x-rays in patients who aren’t that sick with normal vitals and no fever, and aspiration pneumonitis is not contagious. Then there are some other really fishy things here. She has a sinus and ear issue as do many Americans and is no big deal. She has a CT of her sinuses which is fine, but why the comment about a CT of her brain being fine? That is out of place. Why did you do a CT of her brain for a chronic sinus issue? And is this whole ear thing included to try to justify her chronic dizziness? … she has a much more serious issue going on causing her thyroid to plummet. Thyroid sets the metabolism for the body (Trump’s low energy comment was right on then) and thyroid plummets when the body needs metabolism to be lower like with a bleed or other serious strain on the body like an infection or serious chronic disease. … Warfarin has one advantage though that the newer agents like Xarelto don’t have, and that is that the warfarin can be reversed very quickly with fresh frozen plasma. Why is that important? The biggest side effect with warfarin is bleeding, and the most critical area to have a bleed would be the brain, and that would be really important in a person who is falling all the time and could potentially hit her head. Didn’t Bill just say that HRC falls frequently? And you don’t even have to have a fall to have bleeding in the brain with warfarin. All you need to is tap the head with your fingers and a potentially fatal brain hematoma can develop. And we still haven’t been given a good reason for HRC’s fainting spell bc it sure as heck wasn’t dehydration and pneumonia. … You have a woman with coagulation issues, low thyroid, frequent syncopal events per her husband, and on “relatively stable Coumadin levels?” This the course of events one finds in your average nursing home patient. This doctor has given enough to have HRC disqualified IMO on the basis of her health. HRC is done. In 2012 a cold became a flu, that became a slip and fall, that became a concussion, that became blood clots, that demanded months of care far away from public review. An inability of Hillary Clinton to effective[ly] use normal motor skill function, a seemingly obvious lack of visual acuity, and the consistent need for physical aid (specifically pointing her and guiding her) was noted for almost two years post 2012 medical episode. The issues have seemingly only worsened in 2015 and 2016. Anyone voting for Clinton should bear in mind the likely possibility that, if she wins, Tim Kaine — VP — might take over. Alternatively, it could be Clinton’s advisers working in the background whilst she is ill.
Until now, the United States has never had a presidential candidate requiring constant medical presence for a neurological disorder affecting brain function. A Clinton victory in November does not bode well for the Great Republic. Lead poisoning? Whose fault is that? On September 2, left-leaning Clinton water carrier Paul Krugman wrung his hands in the New York Times over lead poisoning, which still poses a problem in the United States. No one would deny that lead should continue to be reduced, so that America’s poorest children are safe. Therefore, it was disingenuous for him to say that Republicans just don’t care. The truth of the matter is that Republicans have next to nothing to do with how the municipalities in question are run. And why did it fade from the headlines? When it became clear that those responsible for the crisis were local Democratic officials and state employees, not the Republican governor. In other words, once the crisis lost its political impact it ‘faded from the headlines’. Democrats can do no wrong. To make it worse, the families who are at risk from lead poisoning continue to vote for them! Lead paint was banned in 1978 under Jimmy Carter’s administration. Today’s immediate lead risk appears in natural elements, such as water — e.g. Flint — and soil. If Democrats at local level really cared, they would put together — then execute — a plan to eradicate lead. But why bother when they are guaranteed election and re-election time and time again by doing nothing? This post concludes a short series on potassium deficiency, inspired and based on the late Joe Vialls’s article on potassium deficiency, which affects most of us. This entry and the two previous ones — part 1 and part 2 — are on my Recipes/Health/History page. If you have not read them, they add information helpful in understanding this concluding post. Today’s post includes Joe Vialls’s self-cure for angina — do not try this at home! It is presented as Vialls would have wished — for illustration purposes only. If Mother Nature was to deprive you of potassium completely, hard scientific evidence proves you would be dead in less than three weeks. But in many ways this would be a merciful release when compared with the infinitely more painful and far slower death caused by slow potassium deprivation, the preferred method of the FDA and AMA. Proper scientists agree the daily potassium requirements of an average adult lie between 3,200 and 4,100 milligrams, but the average potassium intake of Americans through the food chain is only 1,500 to 2,100 milligrams per day, representing an overall average shortfall of 1,850 milligrams. Obviously humans can survive at these savagely depleted levels, because Americans manage to eke out about 70 years each, before this basic potassium deficiency overwhelms them and they finally die, sometimes in great pain from a number of directly related illnesses including arthritis, osteoporosis, hypertension [high blood pressure], angina, strokes and so on. It is scientifically beyond question that all would live longer and suffer less pain if they received the necessary quantity of potassium each day, which is where the American Food & Drug Administration [FDA] should do a John Wayne job, and ride gallantly to the rescue. Alas, the Food and Drug Administration has not and will not do so, because of sustained lobby pressure by the pharmaceutical multinationals. Despite having full and unrestricted access to the real scientific data providing hard proof of widespread potassium deficiency bordering on a pandemic, the FDA has deliberately avoided specifying a “Recommended Dietary Allowance” [RDA], while simultaneously passing a law restricting the potassium content of all alternative medicines to a mere 100 milligrams. Furthermore, as potassium is not fat-soluble, such as Vitamin D, we need to have a daily dose. Potassium is water-soluble, exiting the body via perspiration and urine. We lose even more in periods of stress, physical or mental. All the more reason to buy No Salt or Lo Salt, depending on where one lives, to at least attempt to increase our daily intake. This salt substitute product is sprinkled on food and is potassium chloride — sylvite, what people and animals used to eat before table salt. Therefore, it can be used as satisfactorily and safely. Vialls treated himself for angina, the symptoms of which he experienced in 2003, two years before he died. For most of his adult life, he had what the medical fraternity refer to as ‘essential hypertension’, high blood pressure which cannot be explained. It is a condition that appears to be intrinsic to that person for whatever reason. … eight different medical doctors gave me a staggering variety of ‘patent medicines’, none of which produced a steady reduction of blood pressure, though on two notable occasions the medicines caused ‘bad reactions’ which dropped my blood pressure so low and so suddenly, that my wife could barely get a reading. At no time during this 25-year period did any of the medical doctors suggest that it might be a good idea to measure my serum electrolyte levels, in order to check for potassium deficiency. As you might expect, this entire sequence put me off the medical profession in a very big way. Vialls did not say whether a potassium chloride-based salt substitute existed in Australia when he decided to take matters into his own hands. The problem here is that all chunks of salt are biochemically “hot’, meaning that as the sugar coating wears off the outside of the pill, the chunk of undissolved salt is exposed, and can then come into direct contact with delicate internal tissues. In my casual view, this could easily cause some sort of perforation or an ulcer. Today, several websites discussing potassium supplements — outside of salt substitutes — say to take them with plenty of water or juice. What Vialls did next was extreme. His method leaves little to be recommended, although it did work. He said he was telling his story to illustrate how important potassium is and that one could cure oneself of potassium-deficient diseases without the aid of a physician. a kilogram of AR [Analytical Reagent] grade potassium chloride salt from a chemical warehouse, mercifully not yet under the direct control of the American FDA, or the Australian AMA. Cost wise this was also a plus, because the whole kilogram set me back a mere US$30.00 including taxes, which is cheap enough when you realize that my potassium chloride purchase contained approximately 620 grams [or 620,000 milligrams] of the same potassium the FDA has restricted to 100-milligrams per dose in the health food shops. You do the math. Pop down to your local health food provider and ask for a quote on 6,200 x 100-milligram potassium supplements. Be ready to write a very large check. His potassium chloride salt was 100% water soluble, which meant that when he mixed it with water and fruit juice, there was no danger of it irritating his stomach or gut. a minimum of 50 grams or 50,000 milligrams of potassium, representing about 1/5th of the 250 grams total that an adult male should contain within his body. Every eight hours for the next ten days, he dissolved 4 g — 400 mg — of the potassium-chloride salt in a mix of water and fruit juice. He drank the preparation slowly each time. After five days, the angina had disappeared. However, he felt increasingly tired. He could not think straight, either. by then I was so exhausted I could no longer write or use the computer. After that point, his faculties returned. before their research funding was mysteriously and abruptly withdrawn. When viewed in the latter context, my actions do not seem unreasonable. After ten days, Vialls’s angina disappeared completely, along with his fatigue and disorientation. 2,000 milligrams potassium per day [3,200 milligrams of AR grade potassium chloride salt], plus 200 milligrams of magnesium orotate to minimize losses. Though medical doctors might rave about me illegally ‘giving medical advice without a license’, I am doing no such thing. In the first place potassium is a naturally-occuring mineral essential in our diets for normal development, which places it firmly in the ‘nutrition’ rather than ‘medical’ basket. Secondly there is no way that any government agency can prevent determined people from getting their hands on potassium chloride if they really wish to do so. The material is produced in bulk and used for hundreds of applications. For example, about every third oil rig drilling in the Rocky Mountains probably has about 25,000 pounds of the stuff, neatly stacked in sacks at the edge of the rig site. It came as a relief to read his conclusion that the rest of us should use a potassium chloride salt substitute and, where possible, eat fruit and vegetables grown in properly mineralised soil following strict organic rotation. Of course, the latter is hard to determine, which makes potassium chloride — the sylvite which man and beast ate until the 19th century — a better, more dependable option. Yesterday’s post began a series on potassium deficiency. You may wish to read it before continuing with today’s entry which contrasts the experience of a South American tribe with agribusiness and medicine. This series is inspired and based on the late Joe Vialls’s article on potassium deficiency, which affects most of us. Emphases mine below. Vialls read about the Yanomami tribe who live along the Orinoco River, which runs through Venezuela and Colombia. Yanomami is not what the Yanomami call themselves (an autonym), but rather it is a word in their language meaning “man” or “human being”. The American anthropologist Napoleon Chagnon adopted this term to use as an exonym to refer to the culture and, by extension, the people. But, as we have no other term available, we shall refer to them as Yanomami. Back to Vialls. He rightly noted that by the early 20th century, the blood pressure of Americans was beginning to rise. By contrast, in the latter part of the century, the Yanomami had much lower blood pressure because they were living closer to undisturbed nature and could get all the nutrients they required — especially potassium. Learned doctors published papers on the ‘potassium-sodium balance needed by all humans’, when a quick field trip to almost any Indian Reservation would have reversed their absurd findings in seconds. More and more sodium found its way into every kind of food imaginable, and blood pressures started to rise sharply. By the nineteen-forties, relatively new diseases such as arthritis, hypertension and angina started to climb through the roof, to be met with a veritable shock wave of expensive ‘patent medicines’ to help with the new ‘disease’ problems. The reader should remember that for the Yanomami Indians, normal blood pressure averages out at 95/60 and does not increase with age. Try comparing this with the AMA western ‘normal’ blood pressure of 120/80, which then goes up in incremental steps as you ingest more sodium and lose more potassium while getting older. Of course, the medical apologists will claim this is because we are more civilized, have evolved, and are thus ‘different’, but rest assured this is pathetic rubbish. The only significant difference between the Yanomami and Americans or Australians, is that the Yanomami are stuffed full of healthy potassium, while we are stuffed full of toxic sodium. The researchers also noted that another benefit for the Yanomami related to their lack of obesity. “Adults of industrialized populations have an increase in weight with age. The Yanomami Indians did not increase their weight with age.” Short, but to the point. Somebody remind me to add “obesity” to my shopping list of potassium deficiency-related ailments. Potassium deficiency has been linked to water retention and weight gain. 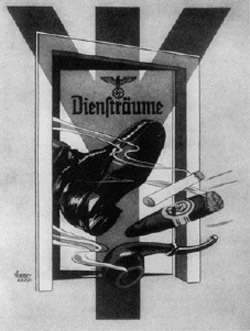 Note that the caption mentions ‘slash and burn’ farming with the resulting ash adding potassium to the soil and water. I feel that today, this practice of burning crop residues and grass should not be encouraged. The nutrients that are released after burning are usually washed away or leached by rain, or eroded by wind. Soil declines in productivity after burning because its nutrients are depleted. Because of this, the ancient farmers who practiced slash and burn had to leave the land for five to 25, even up to 40 years before they could farm the land again. This is impossible today because of population growth, which leaves no time for land to lay idle to regain fertility. Spreading residues in the field stops weeds by a combination of shading and smothering. The residues also stop the sun from drying out the ground. This keeps water in the soil so it’s available for crops. Farmers can make holes in the residue layer and plant their crops. Or they can simply spread organic mulch by hand around plants after they emerge. The crops get nutrients from the decaying leaves. The trees’ roots absorb the excess nutrients which are returned to the ground when the trees are pruned. burning residues and grass releases a lot of carbon dioxide into the atmosphere, which contributes to global warming. I urge you to follow the advice we have heard from the researcher if we want to experience great results as farmers. I’m somewhat suspicious of that line of reasoning. Everyone used to burn their fields. The Yanomami still do. If anyone reading this has farming experience and can shed light on the subject, please feel free to comment. Vialls’s article states that in the 20th century, the medical establishment and pharmaceutical companies realised that heart patients were potassium deficient. In fact these treatments were entirely successful, but the use of a basic mineral that could not be patented by the pharmaceutical companies was frowned on, and medical research grants in this field mysteriously started to dry up. By the late sixties such research has been suppressed, as you can see from the [limited] general references provided at the bottom of this page. The pharmaceutical multinationals were by now exerting increasing pressure on the medical fraternity, providing all kinds of ‘assistance’ during their university training, with copious quantities of fancy-sounding scholarships and research grants. Both were vital in helping to get medical doctors to “see things the right way”, meaning of course that profitable drugs were the answer to all ills. As more doctors peddled more drugs to their patients, pharmaceutical corporate profits rose sharply, allowing perks for the doctors to be extended to include ‘training seminars’ at luxury hotels and golf complexes, along with other varied forms of discreet bribery. By the seventies, all meaningful references to serious mineral deficiencies had been removed from the curriculum, with medical students taught that patients could obtain all the minerals they needed from a diet rich in fruit and vegetables, although their university tutors knew this was a complete lie. Deficiencies manifesting as cramps, arthritis, osteoporosis, hypertension, angina and strokes etc, became ‘diseases’ that could be treated by a truly dazzling array of brightly colored and highly profitable pharmaceutical drugs. It was all a terrible illusion of course, but the show had to go on. As toxic sodium increasingly overwhelmed healthy potassium, the resulting potassium deficiency caused hardening of the cardio vascular system, and ‘essential hypertension’ [high blood pressure of ‘unknown’ origin] became the order of the day. Incidences of angina, stroke and heart attack increased dramatically, as did stress, with the latter feeding on the former. Because of a lack of space, this report will only cover the effects of potassium deficiency on the cardio-vascular system. Other directly related horrors such as arthritis, osteoporosis, diabetes etc. will have to wait for another day. Many Westerners suffer from potassium deficiency. Much of this is caused by the poor mineral quality of our soil which leads to fewer nutrients in fruit, vegetables and meat that we consume. Potassium deficiency can manifest itself in a number of ways: high blood pressure, heart palpitations, muscle aches and even mental issues such as irritability and depression. People with medical conditions should consult a doctor before embarking on any dramatic supplement programme. That said, relatively healthy Americans can sprinkle No Salt on their food. Britons will find the same potassium-rich product under the name Lo Salt. Last week, I wrote about the late Joe Vialls, who lived in Perth, Australia, and was passionate about a number of socio-political topics, including health issues. His article on potassium deficiency has the 1936 US Senate addendum on soil quality about which I wrote this week which concluded here in part 2. This post looks at how we came to be potassium deficient. Before Vialls related the story of how he managed to cure his own angina without medical assistance, he discussed soil quality from the end of the 19th century to the present day. Baron Justus von Liebig (1803-1873) was a famous German chemist whose legacy lives on in fertilisers, nutritional principles and food. The Liebig’s Extract of Meat Company created Oxo bouillon and Marmite, both of which were modelled on the baron’s meat extracts designed for poor people who could not afford the real thing. The company expanded around the world, including South America. Cattle breeding greatly expanded there for tinned meat production under the company’s label Fray Bentos. It is said that Liebig’s Extract of Meat Company brought the industrial revolution to the continent. Liebig had conducted a number of experiments and tests on soil quality which led to the development of crop fertiliser. Some of his theories turned out to be right and others wrong. However, he tried to help humanity rather than hinder it. The beginning of the end for obtaining essential minerals from fruit and vegetables happened in the middle of the 19th Century, when German chemist Baron Justus Von Liebig analyzed human and plant ash, and determined that nitrogen, phosphorus, and potassium [NPK] were all the minerals plants needed. He claimed that if fed synthetically to plants, farmers could force plants to grow and support healthy humans. Thus Von Liebig became the father of synthetic manure, which in turn spawned superphosphate, the mother of all deceptive fertilizers. Though NPK and superphosphate are able to create a synthetic soil environment sufficient to stimulate plant growth, the resulting fruits and vegetables are always seriously deficient in trace minerals, with some containing none at all. Baron Von Liebig watched the deficiencies his invention caused with horror, and recanted before he died, but it was all too late. By then, the big investors had moved in for a quick kill. Vialls’s article states that, even by the end of the 19th century, food grown with the new fertilisers had less potassium in it than before — regardless of the fact that Liebig deemed it essential. Running concurrently with that was the development of cheap table salt easily transported by rail. Up until then, salt was very expensive. We know this from all manner of ancient sources, including the Bible. When we say someone is worth his salt, we are referring to the payment of salaries in salt. ‘Salt of the earth’ refers to someone whose goodness and sincerity are priceless. Great chunks of sylvite were dotted along the trading routes for the beasts of burden to lick at, thereby restoring their electrolytes lost through sweating and other exertion. But when the railroads opened up America from east to west, they started carrying vast quantities of cheap salt produced in giant pans on the two coasts. Unfortunately for Americans this was sea salt, comprised of 98.8% sodium chloride, the favorite of fishes but a deadly enemy of man. And so it was that in less than seventy years, western man had his healthy potassium replaced almost entirely by unhealthy sodium. … sea salt, or naturally occurring salt found in caves, rivers and lakes, is a mineral-rich health food. It does not lead to heart disease or cause other health risks. Vialls would certainly have agreed with that conclusion. Yesterday’s post had the first part of a two-part series on American soil deficiency in 1936. The source material, at the request of a US Senator at the time — Duncan Fletcher (D – Florida) — was included in the 74th Congress 2nd Session, Senate Document #264, 1936. The original document is on the US Senate website. (An HTML version is here.) It is an article from a family news magazine, The Cosmopolitan, which much later became the title we know today. the most valuable man in the State. Yesterday’s post excerpted and summarised Northen’s findings about the poor mineral quality of America’s soil in the 1930s. It had significantly declined since the 19th century and, in many parts of the country, food and meat had little nutritional value. Today’s excerpts and summary discuss the second half of the article. Emphases in bold are mine. I cannot help but think we are in no better shape today with regard to the food we consume. Why no one cared — or cares? Northen was decried for his research. The article points out that the medical establishment had been wrong before: in the late 19th century, the Medical Society of Boston condemned the use of bathtubs! Similarly, physicians and other experts were — are? — wrong on ignoring soil deficiencies. In the 1930s, textbooks kept using outdated analyses from a bygone era decades before when soil was still rich in nutrients. Northen’s work on various farms and orchards was exemplary. By carefully mineralising the soil, grass was better, fruit trees pest-free and abundant whilst livestock were healthier. All those fresh products then went into the human food chain, improving the lives of the lucky Americans who ate them. Beach, who owned a farm, ended the article by redacting part of the interview Northen gave him. Although Northen was elderly at the time, he was a goldmine of statistics, experience and knowledge. As we’ll find out, Beach turned around his own soil with Northen’s help. The article goes on to say that lack of iodine causes goiters. Goiters were a huge health problem then. My maternal grandmother, who was raising a large family in that era, was preoccupied by goiter, even though no one in her family had any, thankfully. But she always impressed upon us grandchildren that eating enough iodine-rich foods and using iodised salt was essential. She was not wrong. As the article states, the Great Lakes Region, the Northwest and South Carolina had significant numbers of people with goiter. Milk was a good way of supplying iodine. The aforementioned Mr Kincaid raised a Swiss heifer calf, taking care to mineralise her pasture and provide her with a balanced diet. She went on to become the third all-time champion of her breed, supplying 21,924 pounds of milk and 1,037 pounds of butter in one year! Illinois farmers then began following Kincaid’s example. Fertiliser companies were quick to promote the mineral content of their products. Minerals were also made into colloidal form for inexpensive yet efficient soil correction. The article concludes with more ailments caused by depleted soil. Some of them, such as heart disease, can be fatal. Others, like arthritis, can be debilitating. On a wider scale, without these essential minerals in our food, we become increasingly susceptible to infection. Northen suggested that the American populace of the 1930s clamour for food from good soil that would naturally supply their nutritional needs. He also urged them to insist that doctors and health departments establish standards of nutritional value. He said that farmers and growers would eagerly respond to higher soil nutrition because it would mean better quality crops, better yield and happier customers. After all, he reasoned, it is easier and less costly to cure sick soil than sick people. It makes sense. Yet, is that what happened? Last week I mentioned the late Joe Vialls and his investigations. I don’t agree with everything Vialls wrote, but he looked at every aspect of a topic. His research into health matters was spot on. One of his articles concerns potassium deficiency, which I’ll write about this week. At the end of that article are ‘Verbatim Unabridged extracts from the 74th Congress 2nd Session, Senate Document #264, 1936’. The contents of this came from a popular American magazine of the day, Cosmopolitan, a very different iteration of the current title. ‘Dr Z’ of the eponymous medical reports says in ‘Senate Document #264 debunked’ what you will read below is rubbish. It was heartening to see that so many of his readers took exception to what he wrote. Dr Z did a poor job of debunking. One of the glaring errors was not even bothering to look up Cosmopolitan in a search engine. these are verbatim unabridged extracts of an article from Cosmopolitan magazine in 1936 and probably have about even less scientific credibility as an article from Cosmo would have today. Had he done a few minutes of research, he would have read that Helen Gurley Brown launched the current Cosmo in 1965. He looks old enough to have known that. Since its inception in 1886 The Cosmopolitan was, for years, a family-friendly magazine with investigative journalism, short stories and fashion spreads. In the 1950s, it was transformed into a literary magazine and, finally, a decade later, became the single women’s publication we recognise today. It’s not research, it wasn’t commissioned by and had absolutely nothing to do with the government other than the fact that Senator Duncan Fletcher, Democrat of Florida, asked that it be put into the Congressional Record (two weeks before his death of a heart attack at the age of 77). The Depression produced hardship, however, as Beach revealed, Northen found it relatively inexpensive to replenish soil with missing minerals necessary for health. Also, whilst we today wonder how our forebears of the 19th century survived without calling the doctor except in a severe emergency, food had much more nutritional value to it in those days. Excerpts and a summary of Beach’s article follow. If you prefer a version other than the PDF, an alternative format is here. I’ve added sub-headings for easier navigation. Emphases in bold below are mine. He showed first that it should be done, and then that it could be done. He doubled and redoubled the natural mineral content of fruits and vegetables. He improved the quality of milk by increasing the iron and the iodine in it.He caused hens to lay eggs richer in the vital elements. Calcium is essential for proper nerve and cell functions. Yet, a Columbia University study showed that 50% of Americans were calcium ‘starved’. A study of patients in a New York hospital showed that, out of 4,000, only 2 had adequate calcium in their bodies. A city in the Midwest had calcium-poor soil. Of 300 children examined, 90% had bad teeth. Sixty-nine per cent had nose and throat problems, swollen glands and either enlarged or diseased tonsils. Over a third had poor eyesight, joint problems and anaemia. Calcium and phosphorus need to be consumed together for either to work properly. Children require the same amount as adults. Adequate phosphates in the bloodstream prevent tooth decay. Livestock died when one or the other mineral was deficient in the soil they grazed on. Our blood requires iron, yet our bodies cannot process it unless we have adequate amounts of copper. Florida’s cattle were dying of ‘salt sickness’. When the soil of their pastures was examined, it lacked iron and copper. As the grass they consumed lacked these elements, there was no way anyone eating the beef of the surviving cattle could obtain these necessary nutrients. A lack of iodine disrupts thyroid function and can cause goiters. Humans only need a tiny amount each day — fourteen-thousandths of a milligram — yet the Great Lakes region was a ‘goiter belt’ and pockets of the Northwest showed severe iodine deficiencies. Then, as now, medical specialists giving vitamin and mineral supplements to people seemed to be the way forward. Ironically, we need only trace amounts a day yet cannot manage to get that. However, the body best absorbs these when they are present in food rather than tablets, capsules or liquids. This is because they are colloidal — in fine suspension — when present in food and easily absorbed into the body.